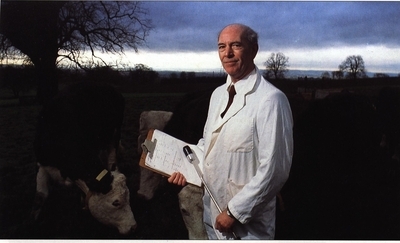 Norman Ritchie (1938-2014) was a Lecturer in the Department of Animal Husbandry in the Vet School from 1962-1988 and then on a part-time basis until 1991. Ritchie studied at Hillhead High School before matriculating at the University of Glasgow to study Agriculture. 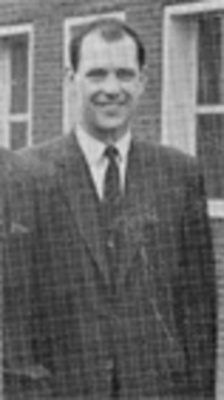 He graduated with First Class Honours in Agricultural Chemistry in 1959 before going on to research for a PhD. With colleagues Gordon Hemingway and James Parkins, he designed the first slow-release intra-ruminal boluses to prevent mineral deficiencies in cattle. 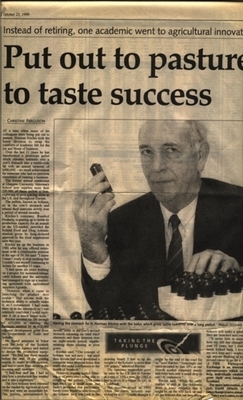 Their device was patented by the University of Glasgow and remains the only bolus that supplies a sustained dietary supplement of all seven trace elements and the three fat soluble vitamins required by ruminant animals. Many millions of these products have been sold worldwide.